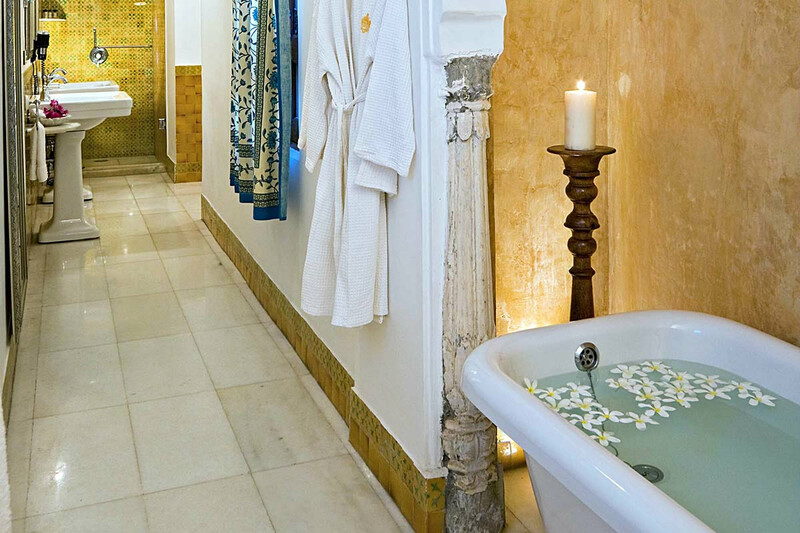 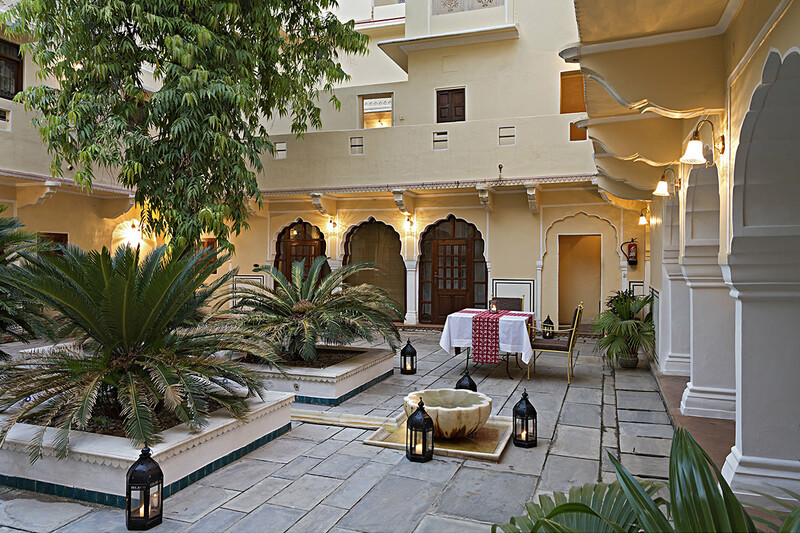 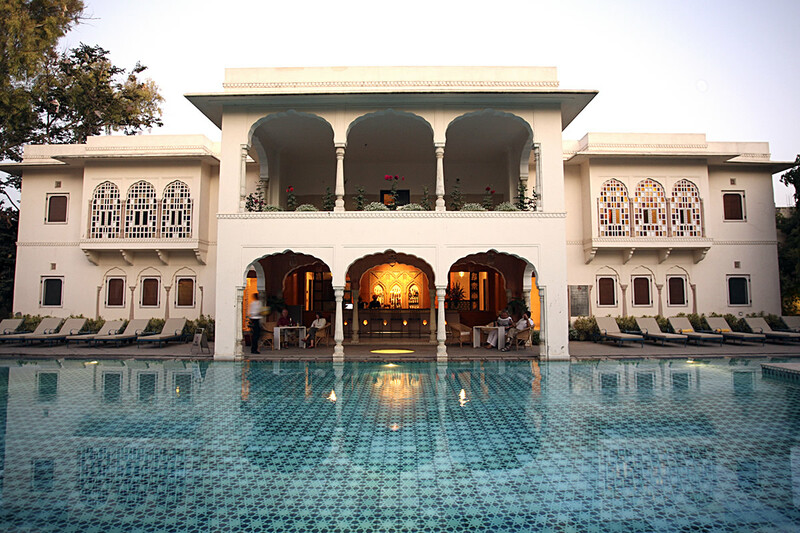 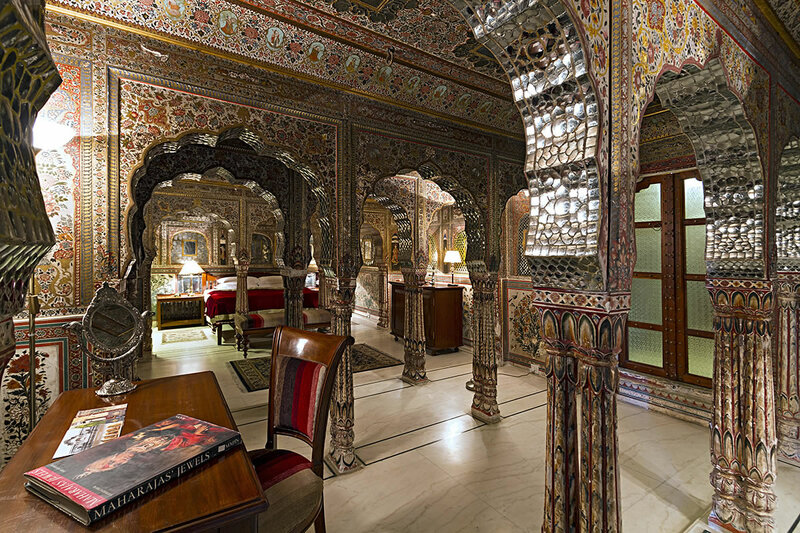 Samode Haveli is a little gem, lying in the heart of Jaipur, amongst a maze of busy streets. 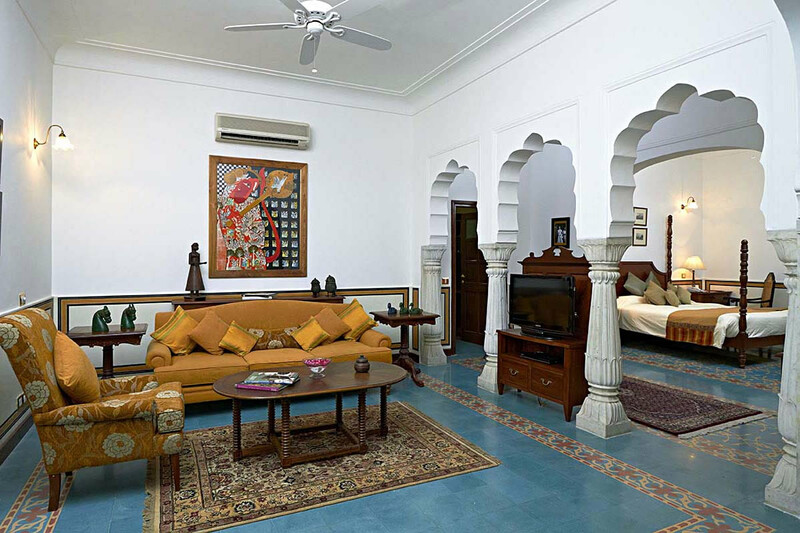 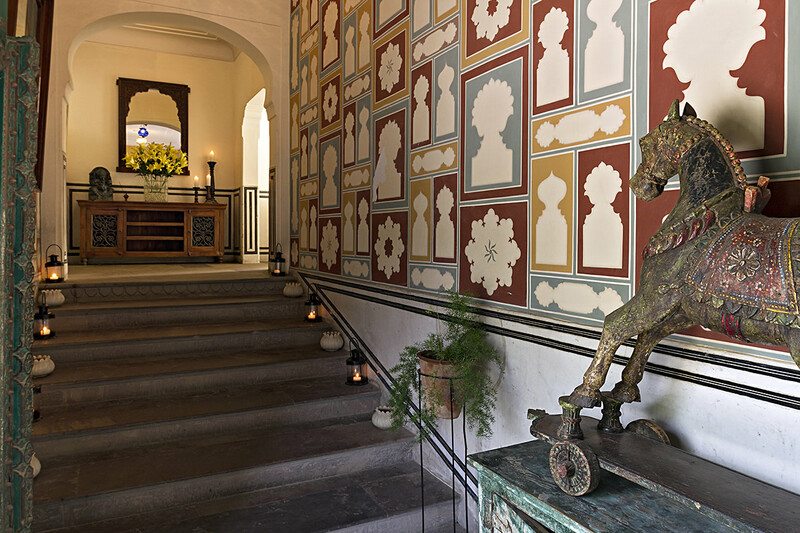 Oozing charm and character, it is home to some fabulous frescoes and, with its pretty courtyards and leafy garden, it is difficult to believe that from this sanctuary you can stroll out into the bustling city streets. 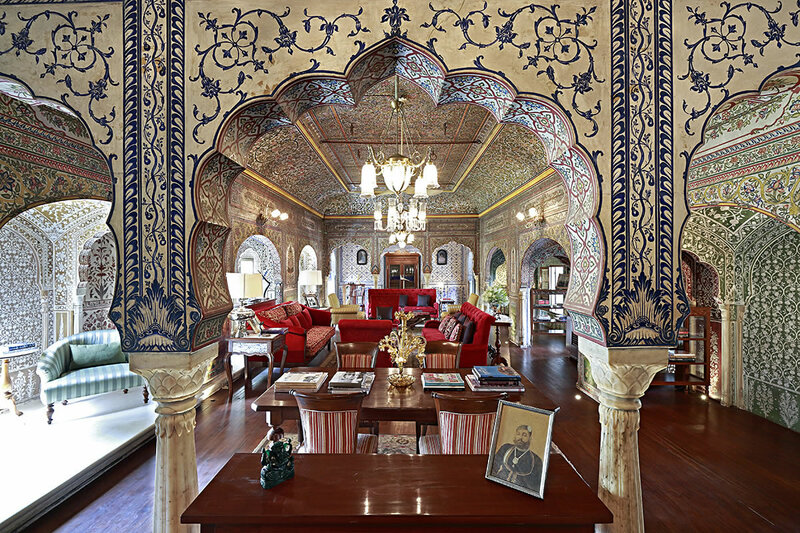 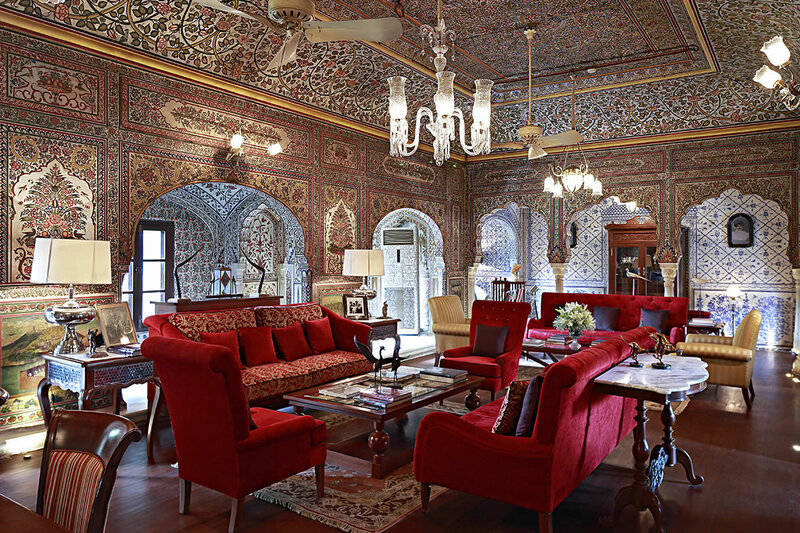 Formerly the townhouse of the eminent Samode Family, it still breathes history and the owners have been careful to retain the tradition and authenticity of the place – one really does feel like you are stepping back in time here and family memorabilia adorns the walls. 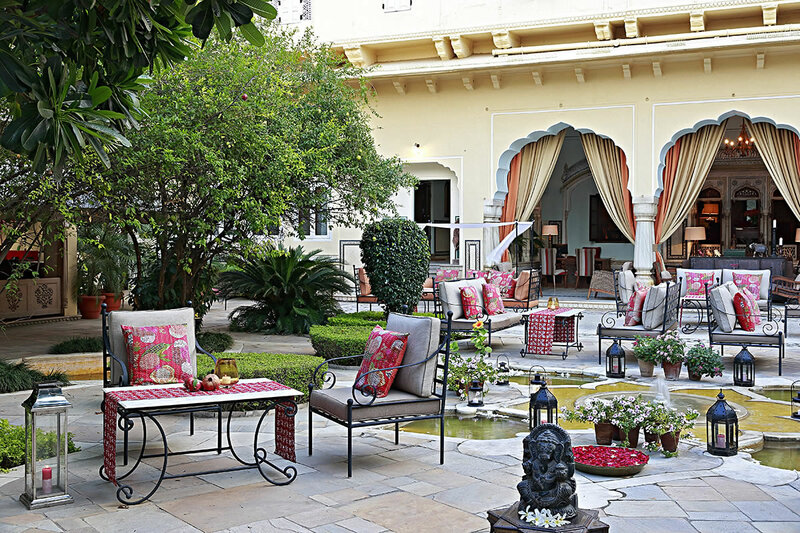 Hidden staircases, surprise courtyards and terraces make this lovely hotel a treat to explore in itself. 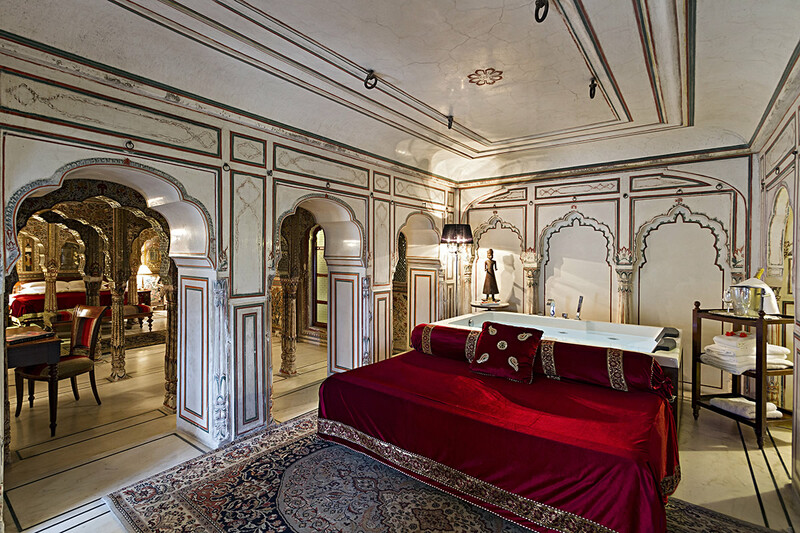 The bedrooms, some ingeniously created out of hidden parts of the palace, lie all over the rambling building and, given the nature of the building, vary in shape and size. 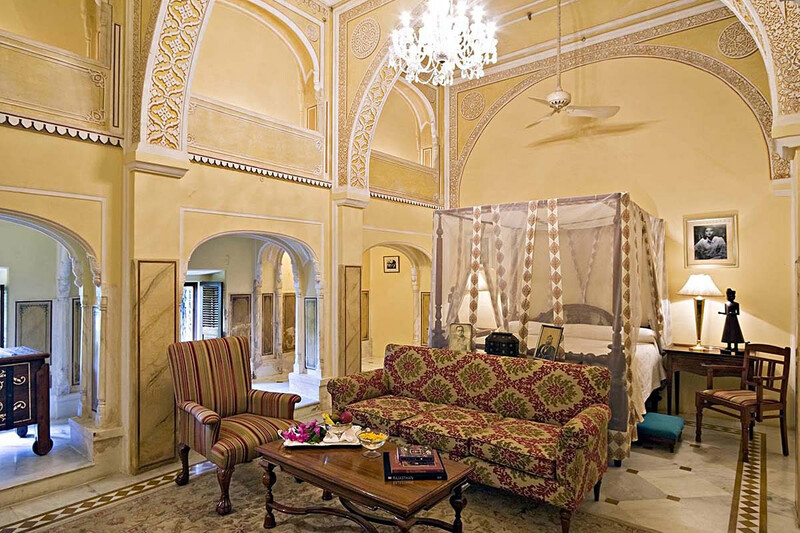 They are superbly decorated, according to the owners’ impeccable taste – modern Rajasthani colour meets contemporary chic at its best. 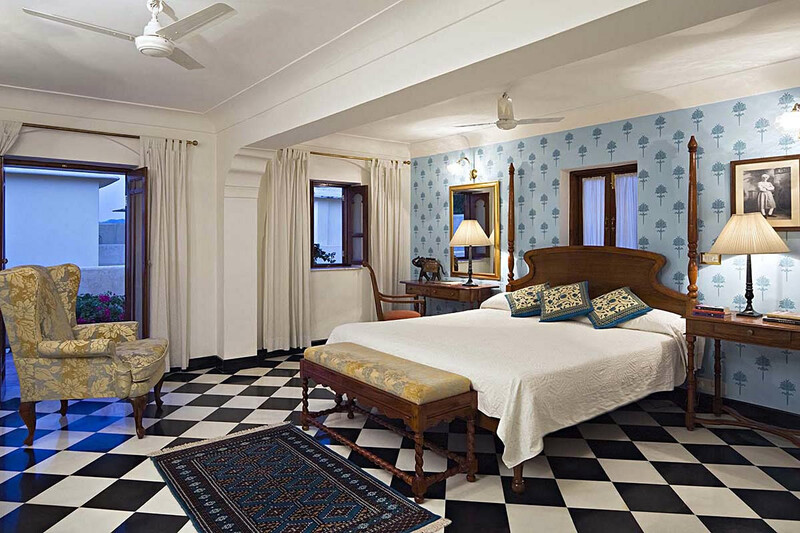 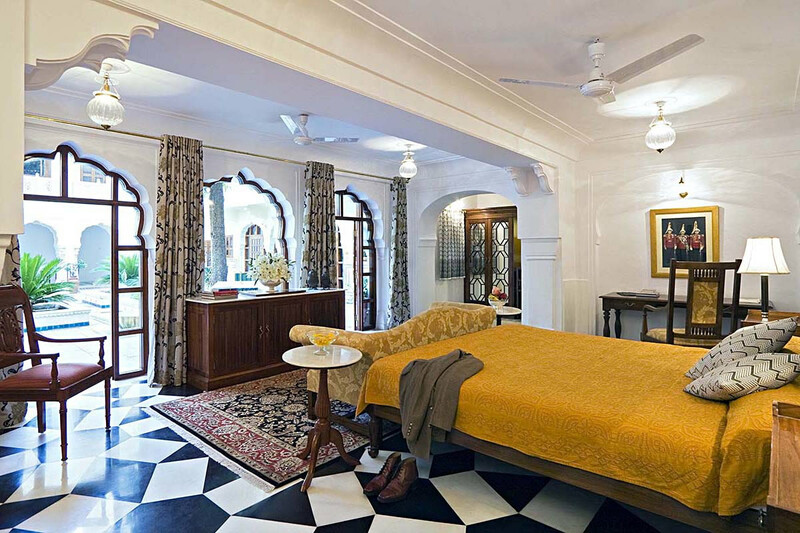 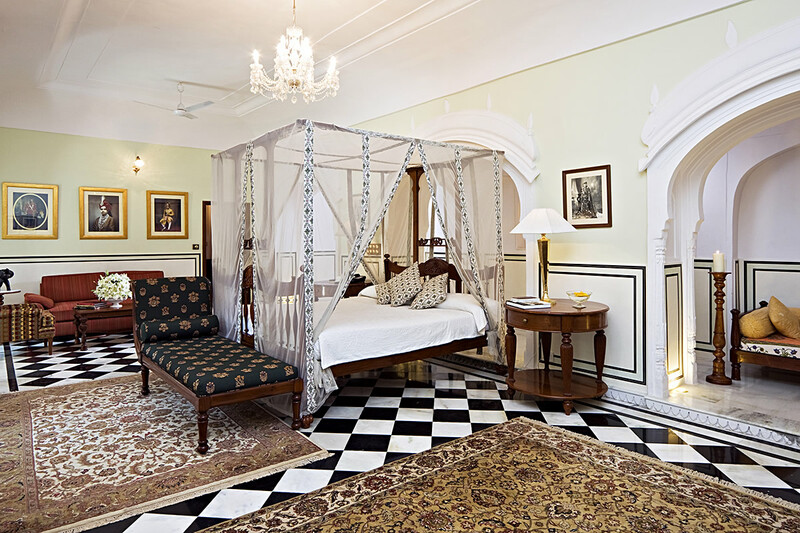 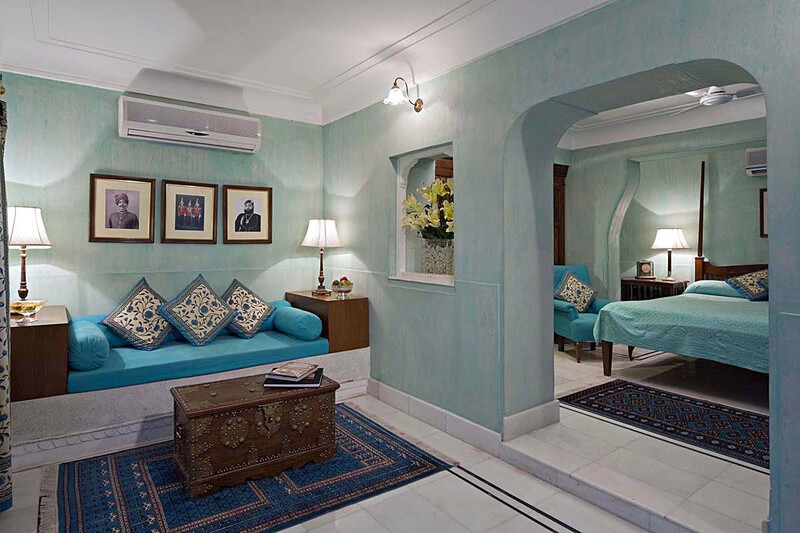 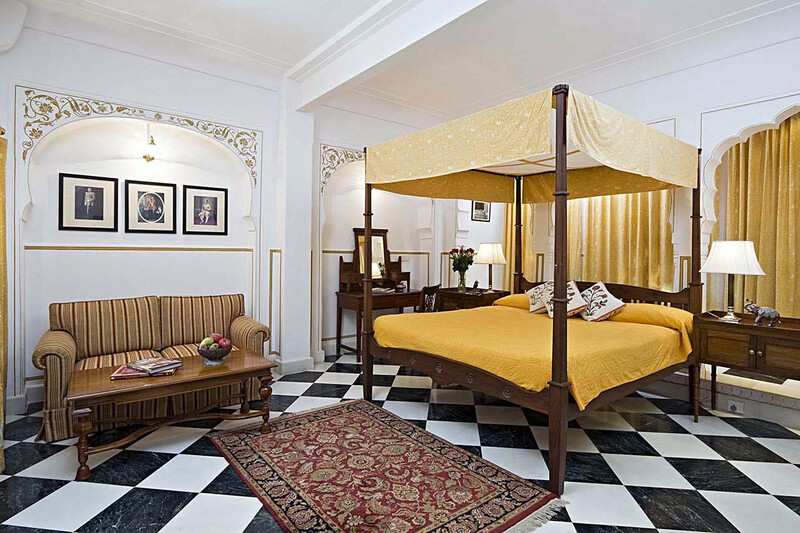 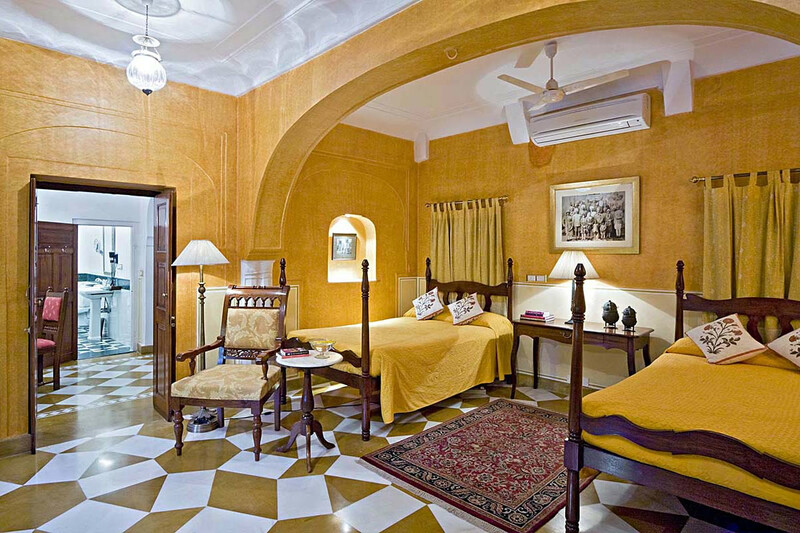 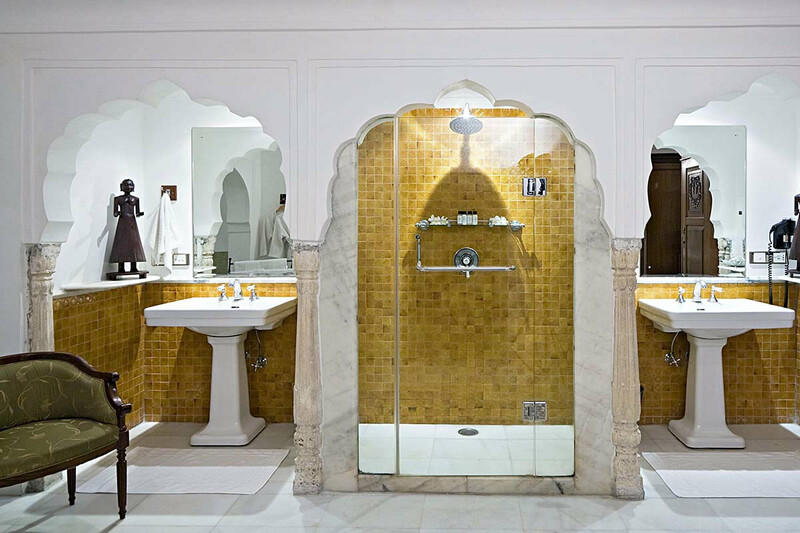 Two of the suites are covered almost entirely in mirror-work from ceiling to floor and wall to wall, whilst the lofty Haveli Suites in the recently restored garden buildings are fit for a king and boast oodles of space and private courtyards! 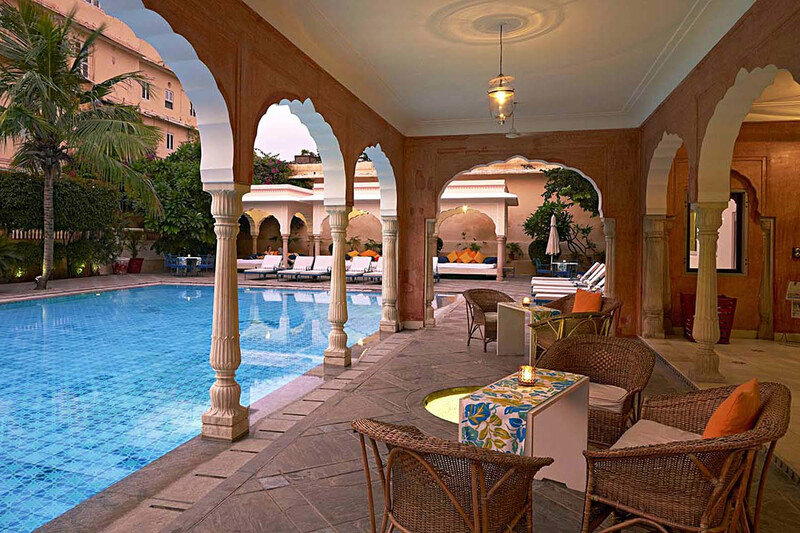 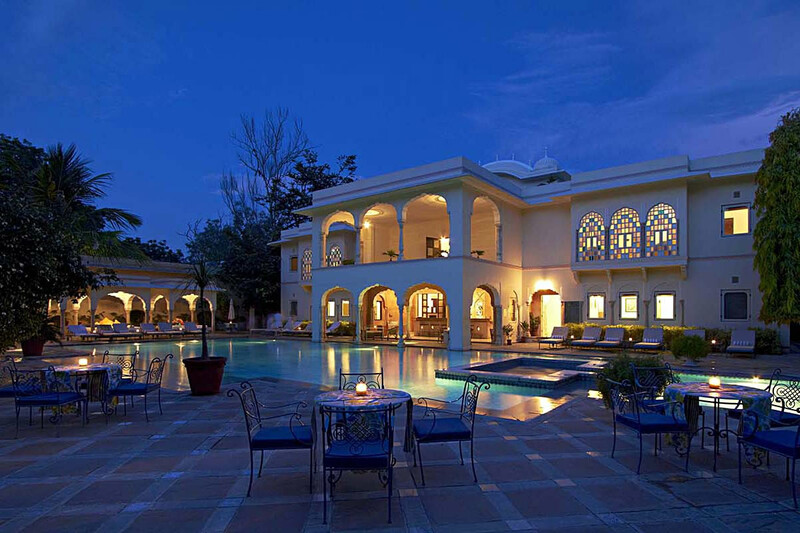 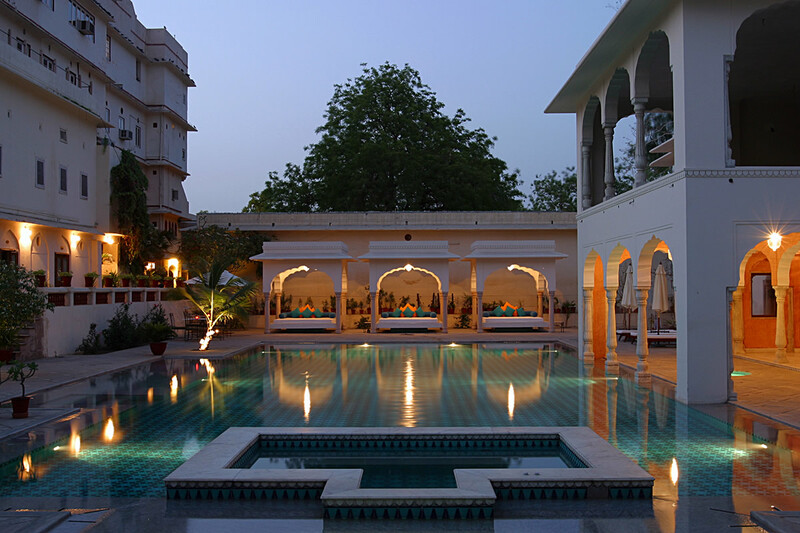 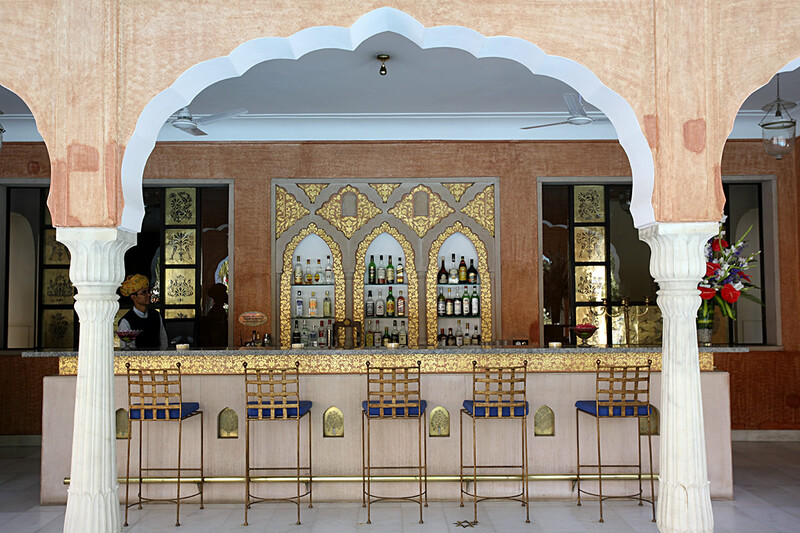 The exquisite swimming pool, with a beautiful poolside bar and supremely comfortable ‘salas’, is one of Jaipur’s finest and is a draw in itself. 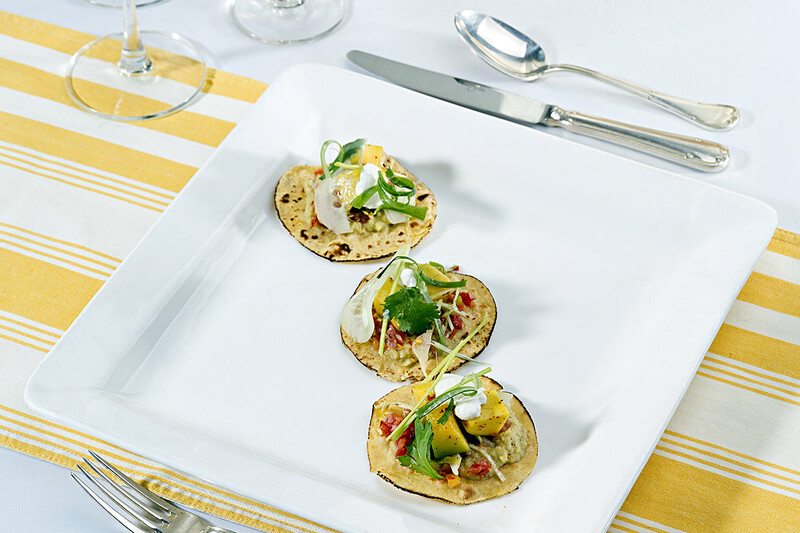 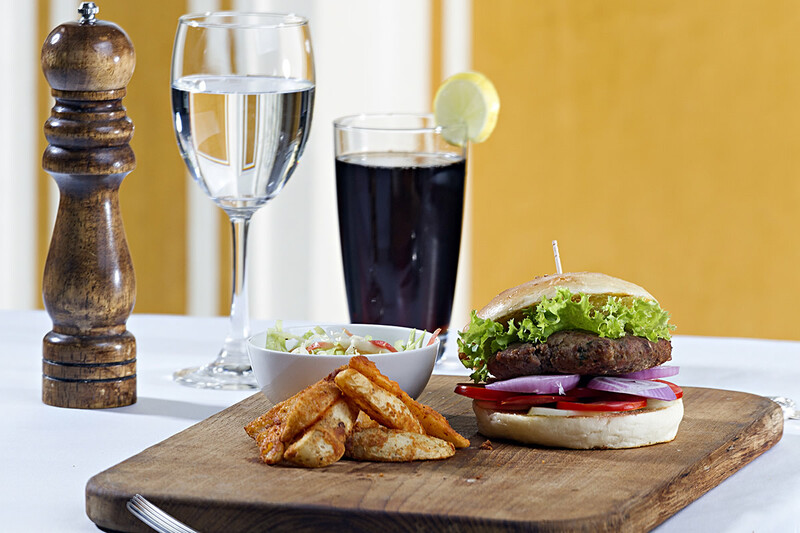 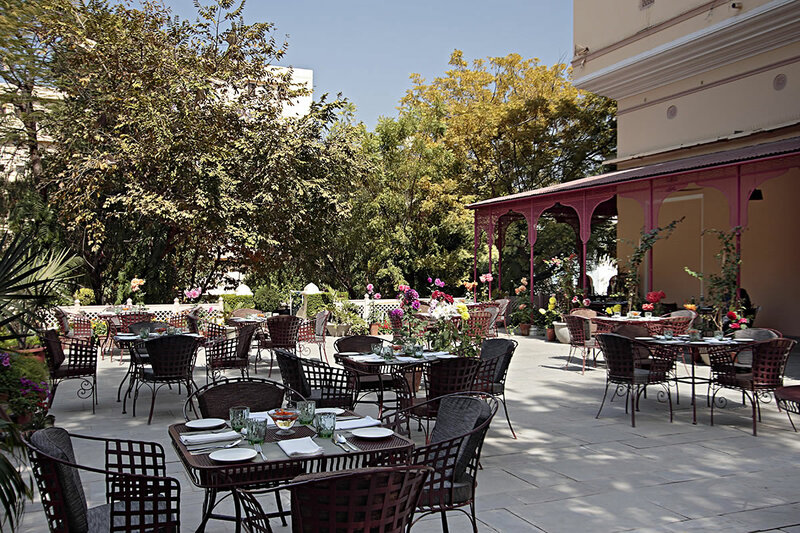 Perfectionists to the end, the family are constantly thinking up mouth-watering new menus and the gloriously grand dining room, bar and al fresco dining courtyard are a triumph – any gourmet would be satisfied here. 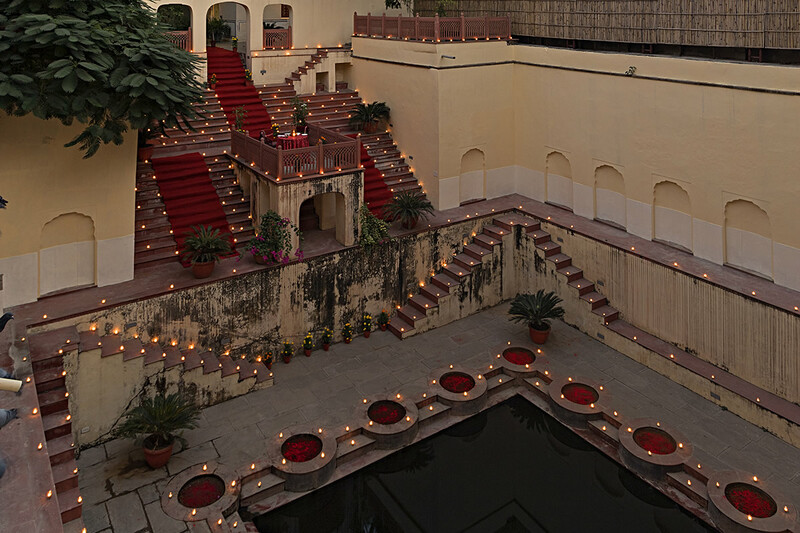 Choose to dine in warm grandeur, under the stars, or enjoy a private dinner by the stepwell, exquisitely lit with hundreds of flickering candles. 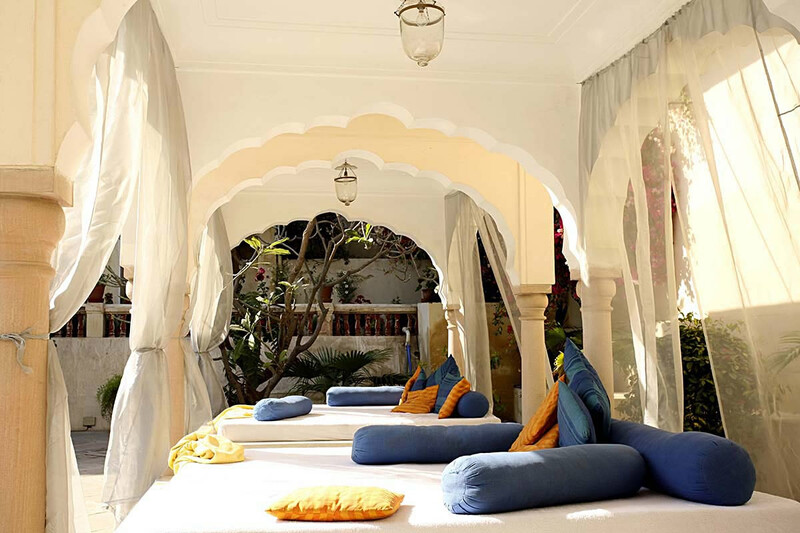 The inner courtyards and shady verandahs are replete with soft, elegant furniture and provide perfect places to relax in after an exhausting shopping or sightseeing trip, if not tempted to head to the small but excellent spa for a reviving massage. 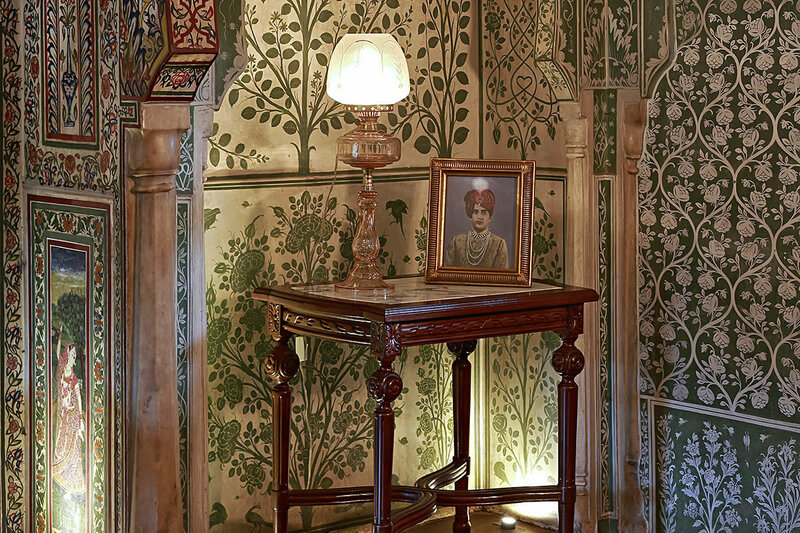 On chillier nights, spend the evening in the sumptuous, ornate comfort of the marvellous drawing room, covered with floor to ceiling intricate frescoes, and indulge in a bygone age of the royal life of the Samode Family. 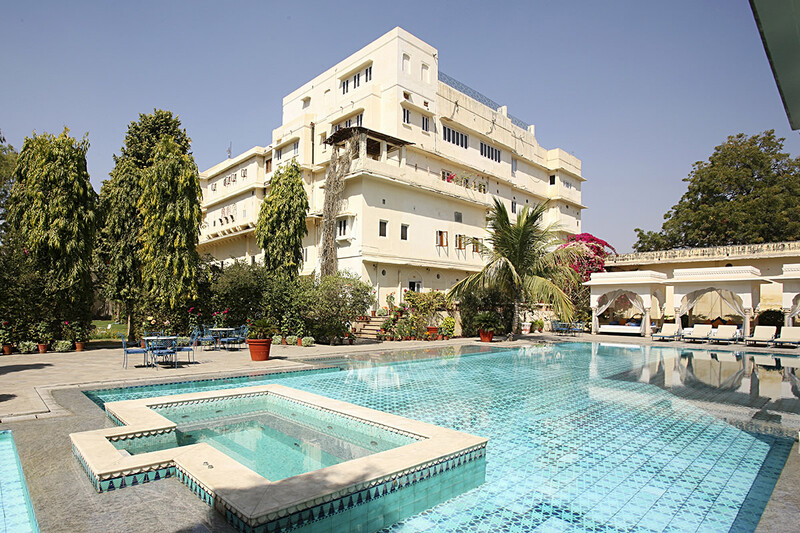 The gentle and caring staff do their utmost to look after your every whim and, since the hotel does not allow groups, each guest receives constant, homely attention. 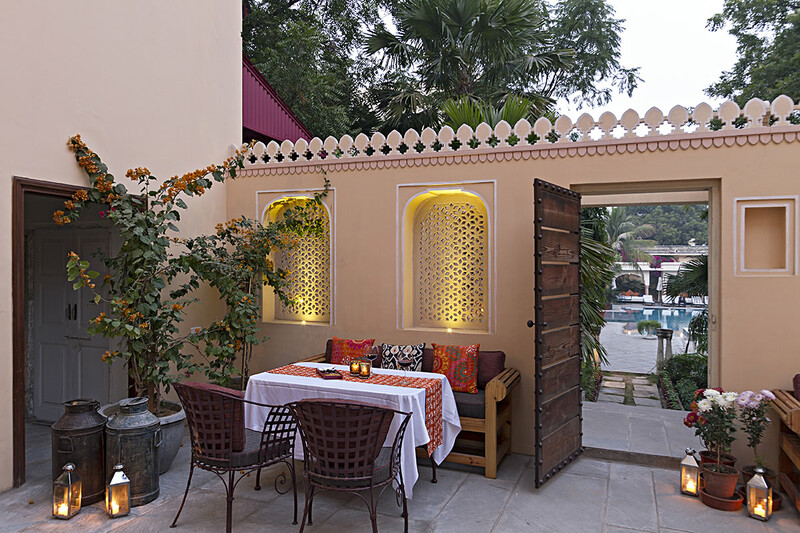 Waiting to welcome you, Samode Haveli is a relaxed, friendly place and is a great option for anyone wanting a delicious, traditional little boutique hotel in the middle of the old city. 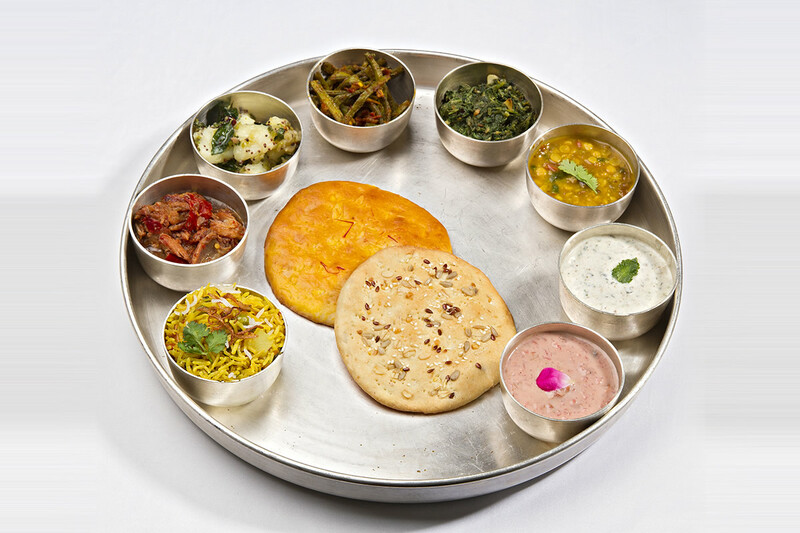 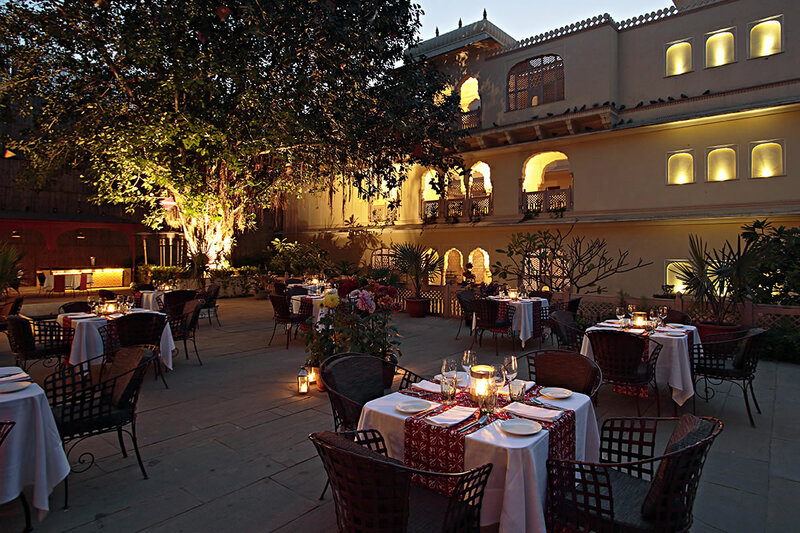 Samode Haveli will be implementing the same practices as at Samode Palace and Bagh (where possible due to different position), as soon as their new restaurant is constructed. 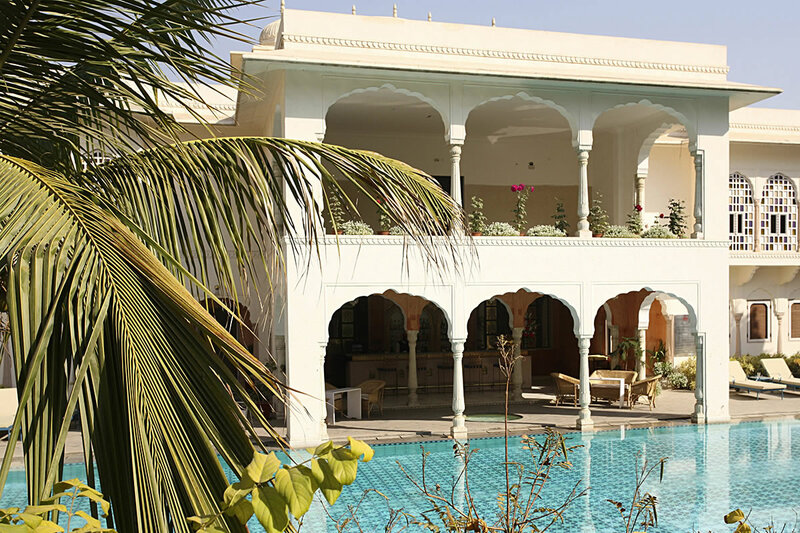 In the meantime, Samode Haveli is active in supporting and giving employment to people from Samode Village and the villages around. 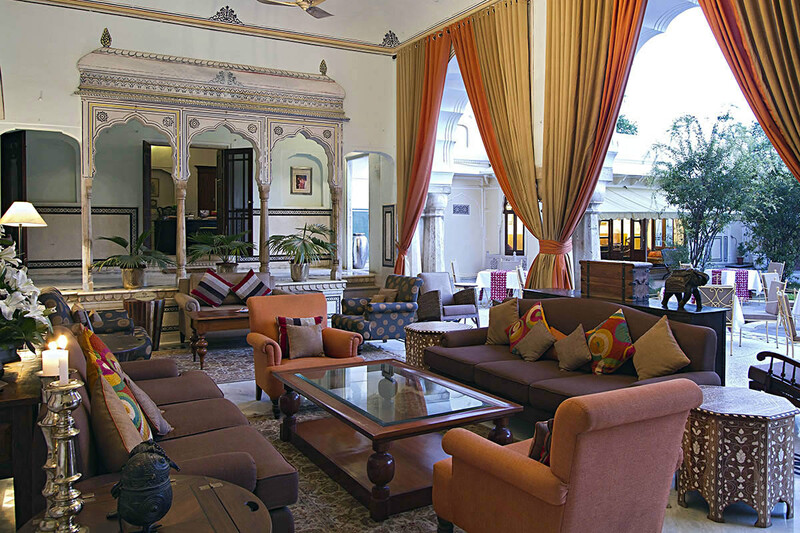 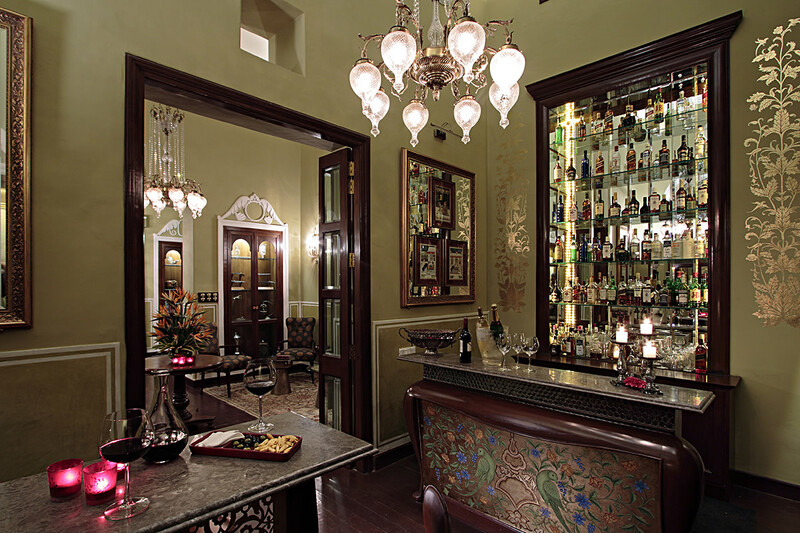 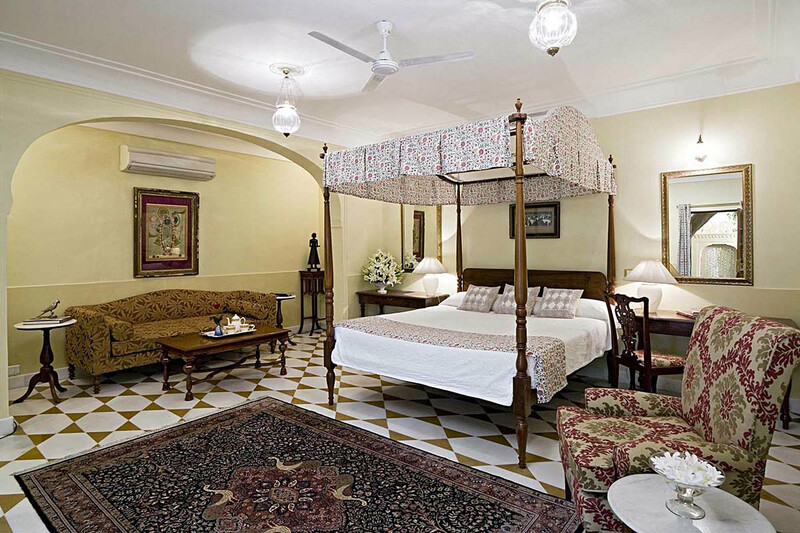 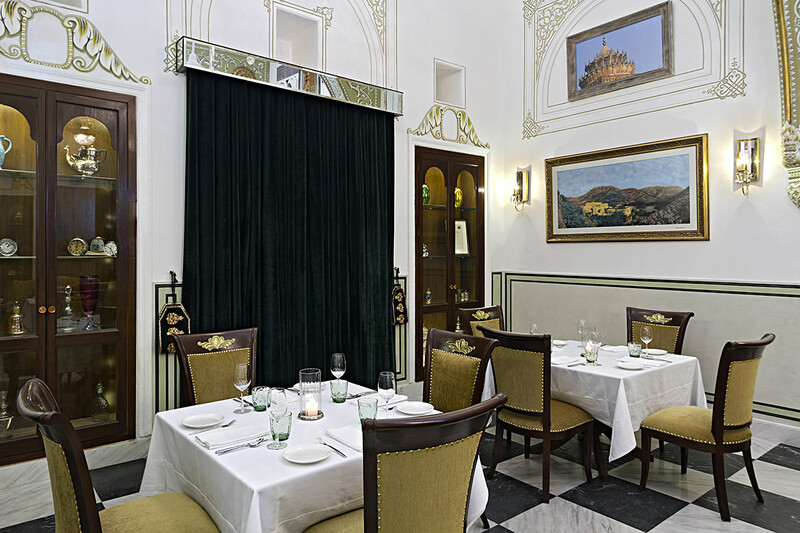 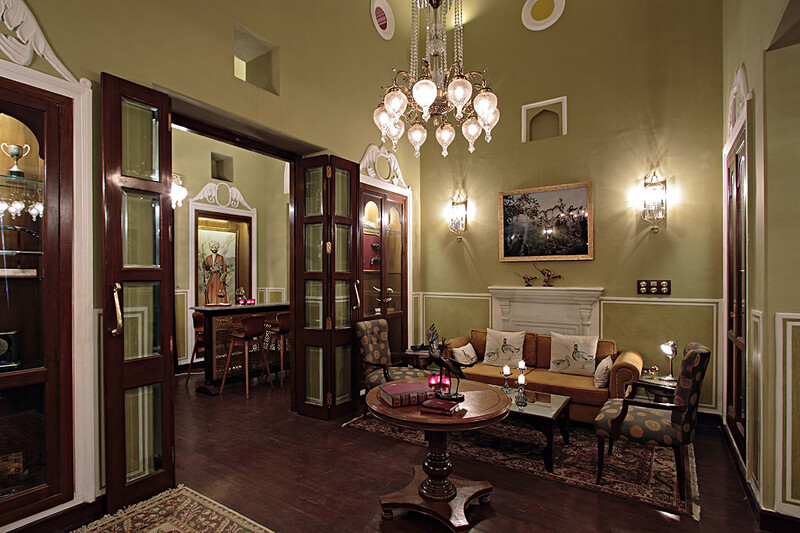 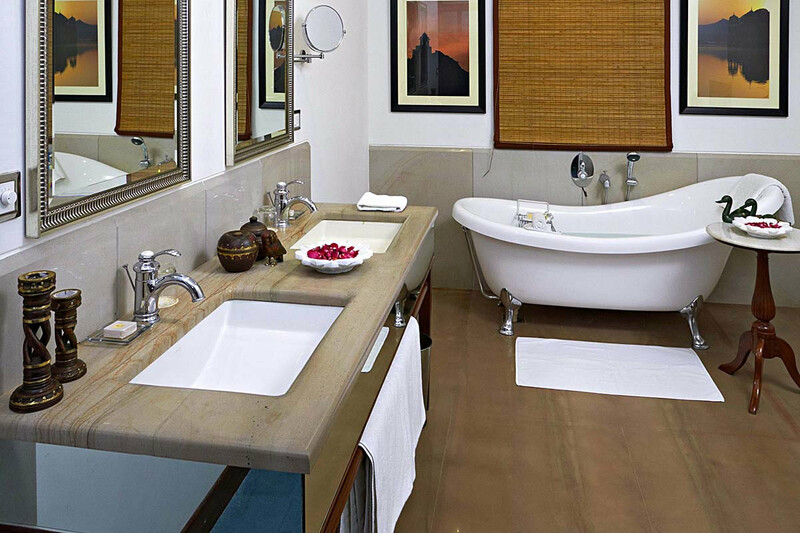 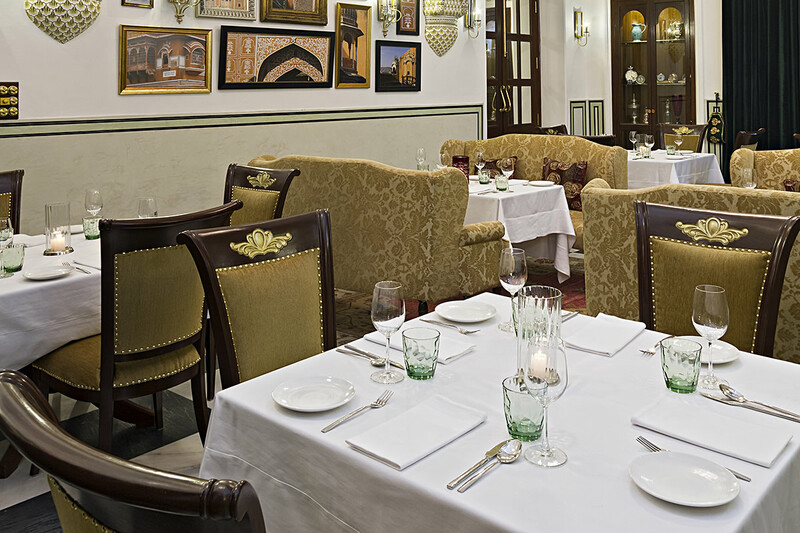 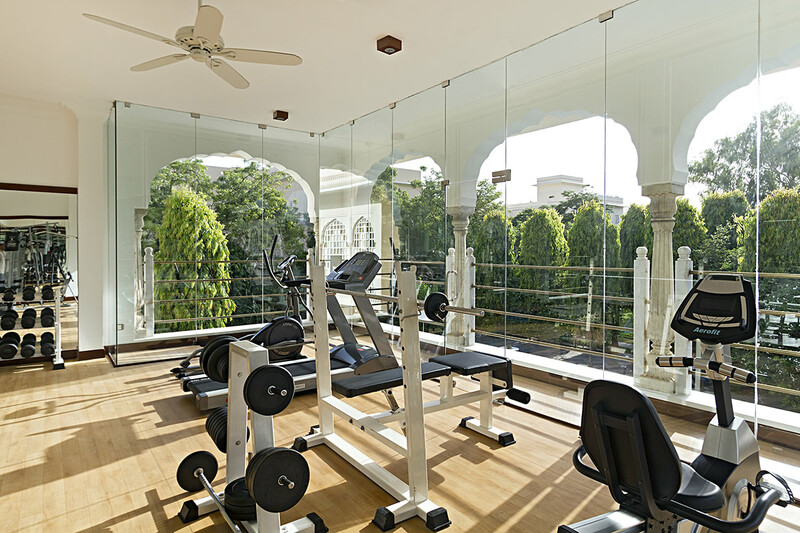 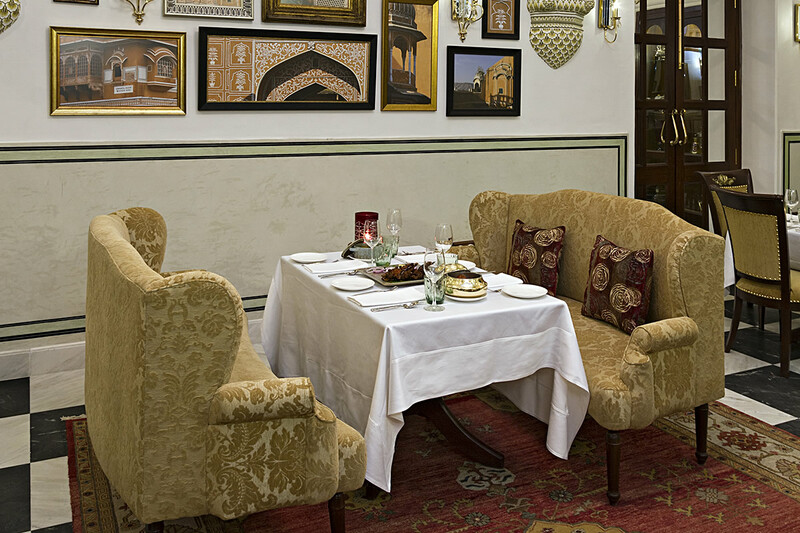 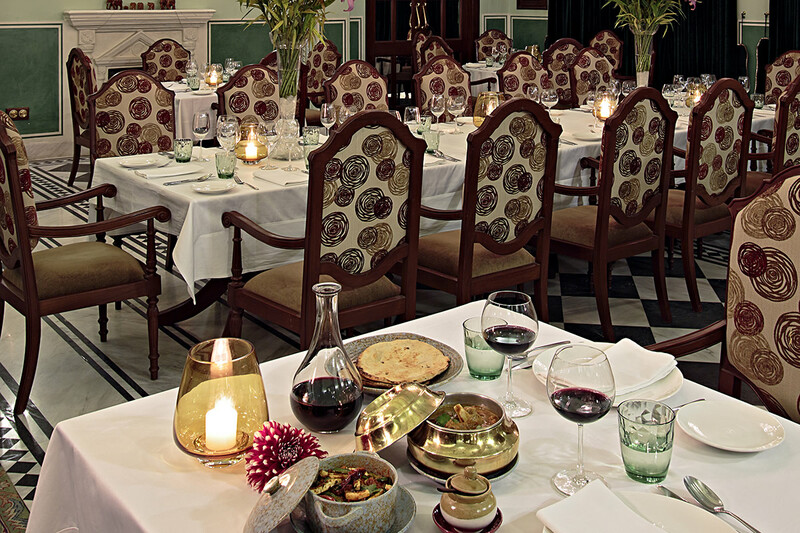 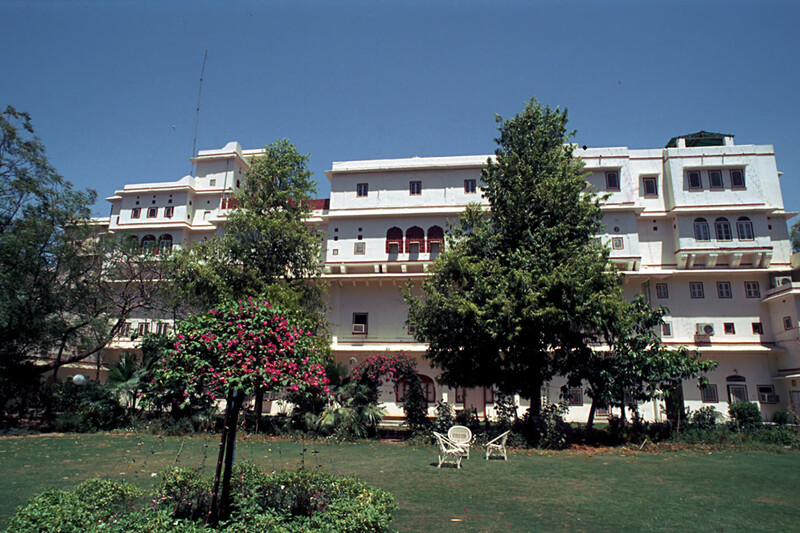 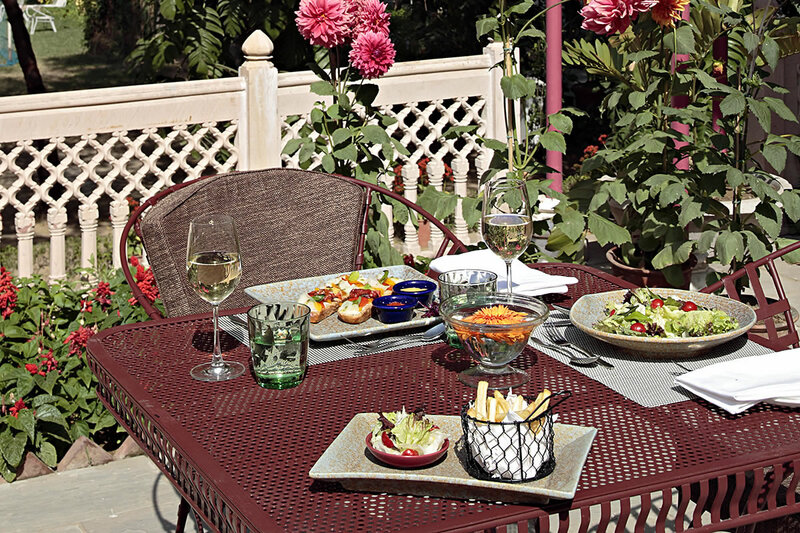 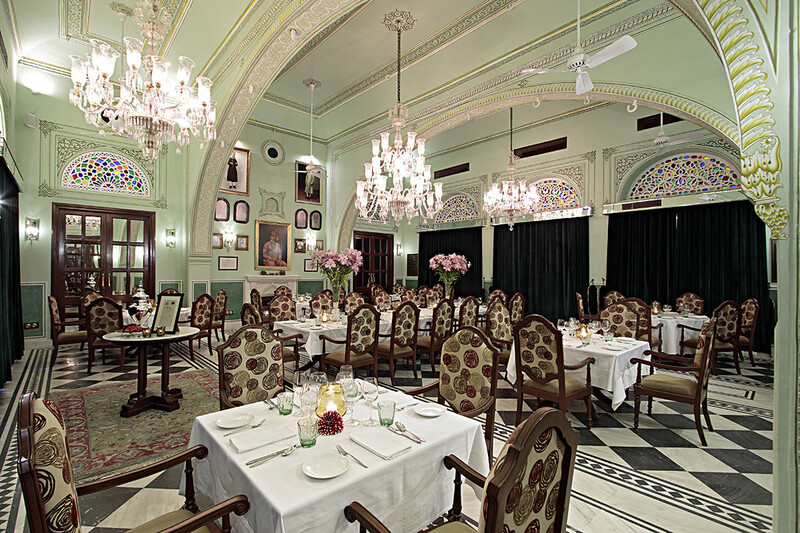 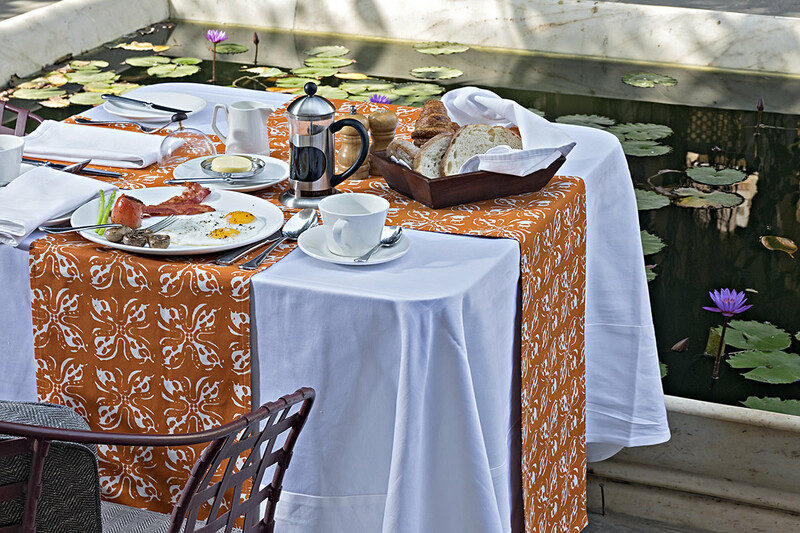 Jaipur’s finest boutique hotel, in the heart of the old city and a wonderful place for parties. 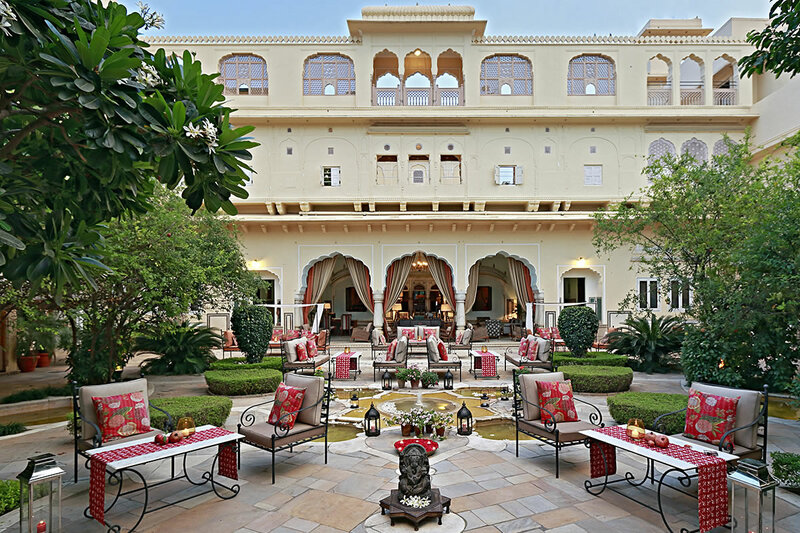 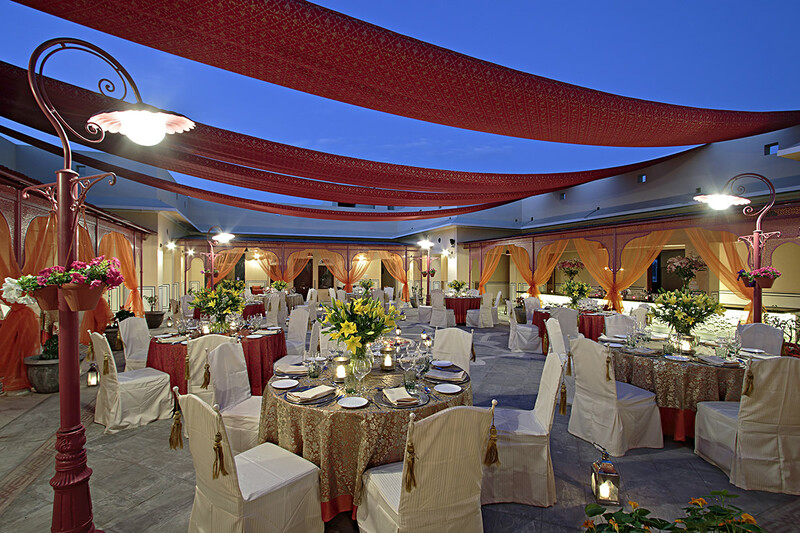 With ample gardens, a pretty pool area, wonderful courtyards and a grand dining room, this is the perfect place to take for a large group of friends who want to really celebrate in style with all the colour and tradition of Rajasthan at its best. 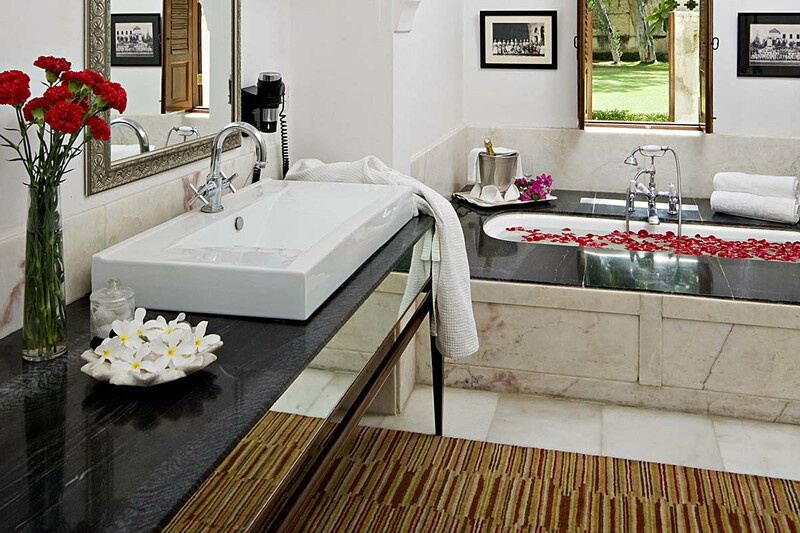 Varied entertainment possible. 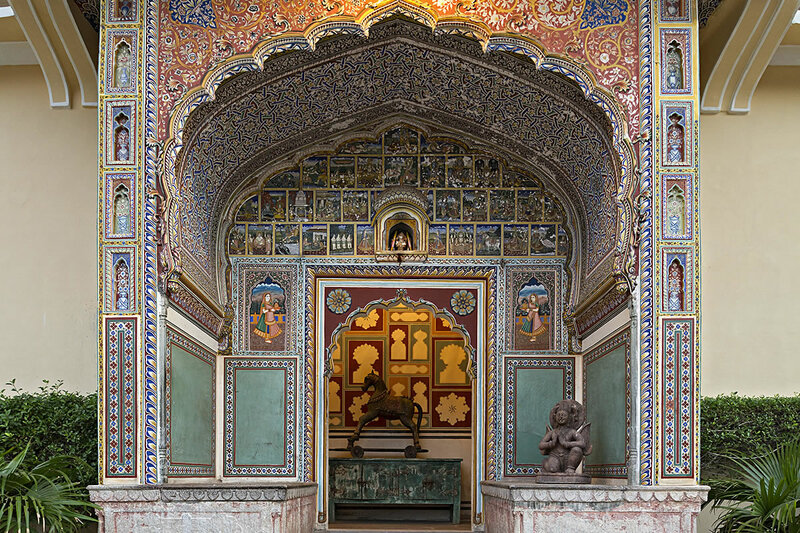 Take a dawn walk through the streets and markets of Jaipur’s old city for a visual feast of colour and chaos. 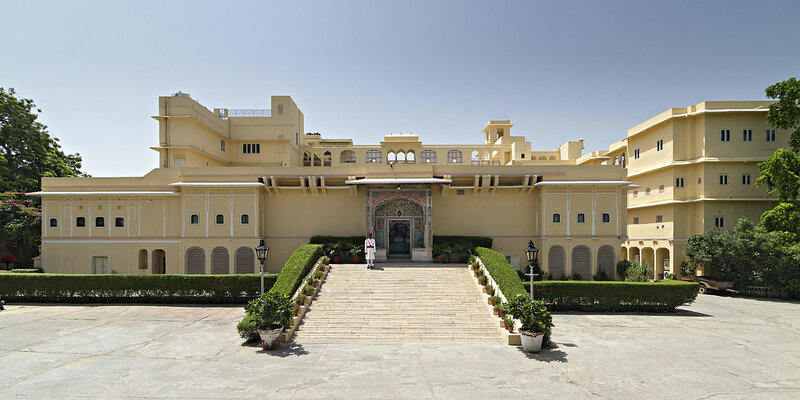 By train to Jaipur from Delhi, Bikaner, Jodhpur, Ajmer, Sawai Madhopur and Bombay. 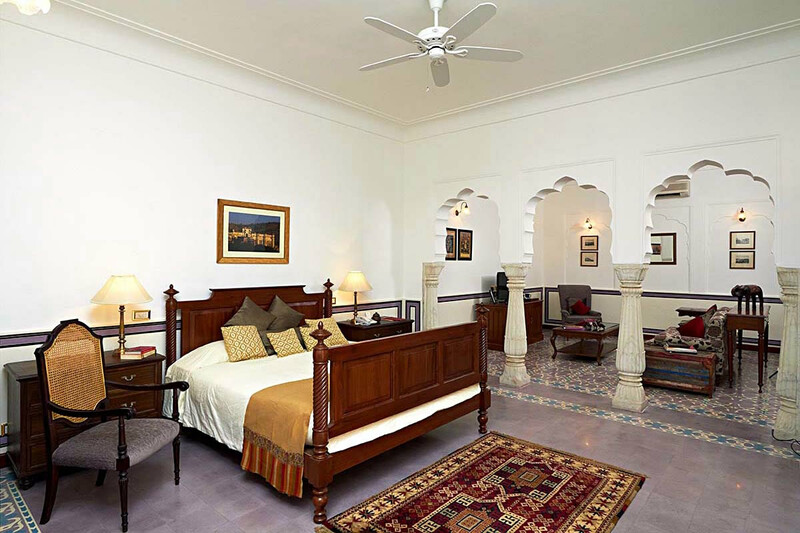 By road from Delhi, Agra, Ajmer, Ranthambore and Shekavati. 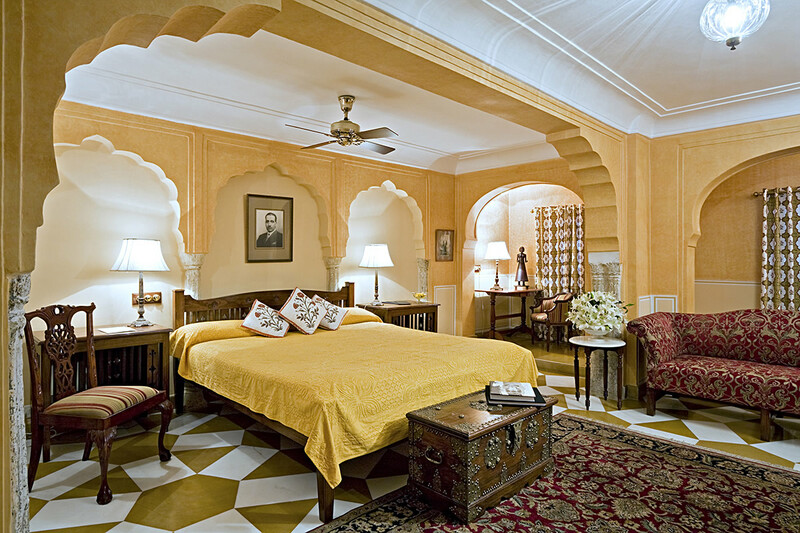 Or by air to Jaipur from Delhi, Jodhpur, Udaipur, Bombay and Calcutta.